On our two hour ride down to Philadelphia today for a checkup with my cardiac surgeon we drove through some beautiful winter scenery. The dark dreary winter suddenly became a sunny winter wonderland with boughs hanging low laden with fresh fallen snow against a backdrop of clear blue skies. How awesome! It was a window to my soul from my heavenly Papa where He had taken my dark dreary winter of years of heart problems, surgeries and stroke to a sunny day when the boughs of my life would be laden with blessings against the backdrop of a total clean bill of health from the surgeon today. I can look back on those days praising God for, as Andre Crouch penned “If I never had my problems I would never know what faith in God could do.” How awesome! Creation has no choice but to fulfill its purpose and be what it was created for. Man was given a choice, a free will and a creative mind to fulfill My purpose or create his own. All I ask of you is that you be what you were created to be. You can try to do that which you weren’t created to do. But you can never be what you weren’t created to be, no matter how you struggle! When the purpose is not known, abuse is inevitable! 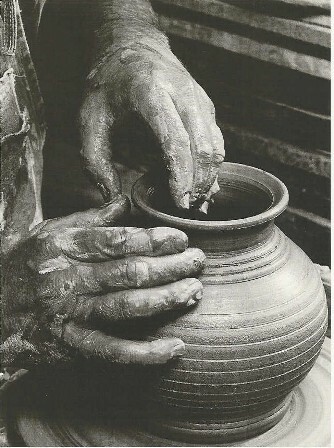 Challenge: If you do not know the purpose of your being, ask the Potter? Choose to fulfill His purpose by being who He created you to be. Looking forward to God’s promise that it will warm up again as we drive home from church through a snow blizzard. Thank you, Lord, for keeping us safe on treacherous roads and traveling mercies with a grateful heart that these dangerous snow packed highways will lead us to the cozy warm fireplace of home to shelter us from the storm.